Hello friends, thanks for calling by. 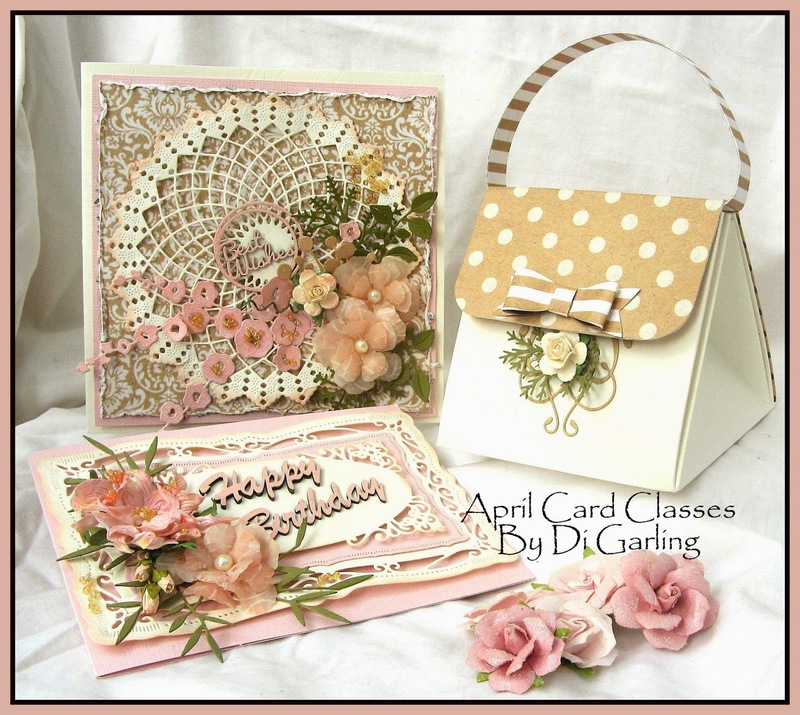 Today I have the cards that we will be making in both our April Card Classes. A lovely soft & pretty colour palette & the sweet little one on the right is actually a little Handbag that opens out & is not only a small gift bag but also is actually a card too !!! How cute is that? Class Times Friday 10th April from 10am to 2pm OR Friday 24th April from 10am to 2pm Cost is $35 for the 4 hour class & includes all materials.